The demand for good-for-you healthy snacks is on the rise. According to a recent Nielsen report, consumers around the globe spend over $374 billion on snack foods annually, with Europe ($167 billion) and North America ($124 billion) representing 78% of the total market. As we touched on in a previous post, protein-based snacks are in demand in this booming market as people look for healthier snacking options that often serve as meal alternatives. It’s true- 45% of global consumers admit to consuming snacks as meal replacements. 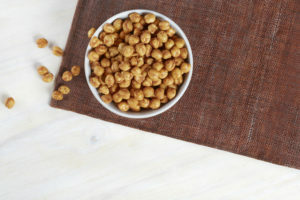 Biena chickpeas are a snack time option that’s not only flavorful, it’s also super fun to eat. The round chickpeas are easy to grab, go and the gobble up by handful- and the colorful packaging pops off the shelf amidst a sea of bland snack brands. Biena Snacks, as a brand, has got it going on. In fact, they recently won the 2015 Snack Award by Shape Magazine, who praised Biena for their healthy snacks and crave worthy flavor. My personal favorite happens to be Biena’s Habanero flavor, just like the editors and readers of Shape. 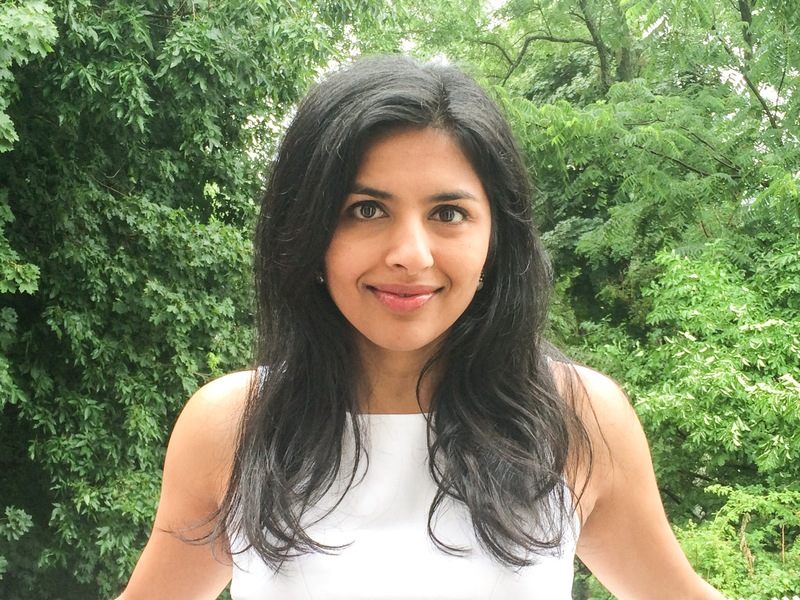 We recently connected with Biena’s Founder, Poorvi Patodia, to go beyond flavor for the inside scoop on what it takes to reinvent a product category, and the leadership lessons she picked up along the way. What inspired you to start Biena, and why chickpeas? Some people have a “sweet tooth”, I have a “salty tooth”. That was never more apparent then when I was on maternity leave a few years ago and craved salty snacks. The problem was that I could only find snacks with little or no nutritional value. I’m a lifelong vegetarian; so protein-based foods are a must for me. I couldn’t find both in a snack-the salt to satisfy my craving and the protein (and other attributes) to make it good. 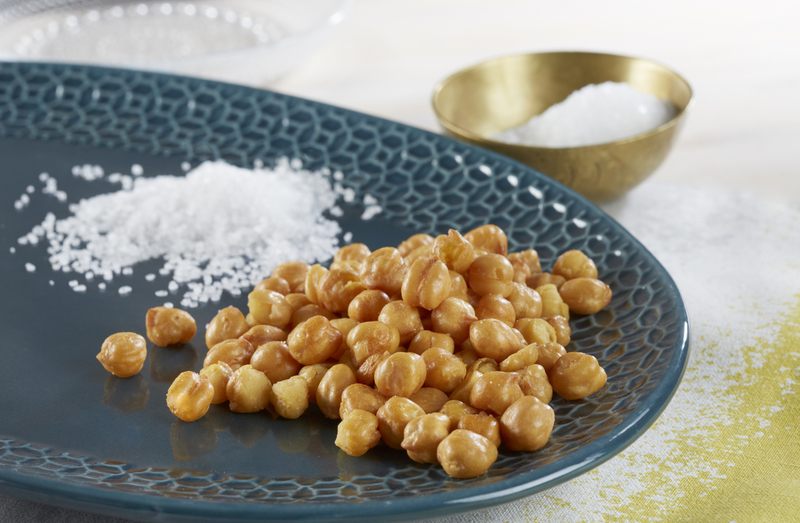 Biena Chickpeas were born out of a need for a snack that people can feel good about. The key word there is GOOD. That’s where the name comes from! Our chickpeas are high in protein to satisfy hunger. They’re also high in fiber, and we have so many great flavors – Sea Salt, Honey Roasted, Cinnamon Crunch, Barbeque, and our newest Habanero for a little kick. If you compare Biena Chickpeas to potato chips, tortilla chips or peanuts, we’re a much better alternative. For example, our chickpeas have more fiber and protein combined that any of the others. That speaks volumes! There are so many business a-ha’s that happen in the first few years of business, what are some of the most valuable lessons you learned as an entrepreneur? Focus, focus, focus – there are always 1,000 things you can be doing as an entrepreneur. Figure out what are key activities that will truly move your business forward and forget everything (and everyone) else. Be the squeaky wheel– when you start out, you may have very few resources. One of your main jobs is to get attention from partners when the size of your business may not justify that much attention. Being a squeaky wheel – i.e., asking for attention, asking questions, asking for strong performance and accountability will help you accomplish big things even though you are small. Negotiate EVERYTHING and get MORE for LESS– you’d be shocked to learn how many things are negotiable. Demonstrate the value that you bring to the table, and pay what you consider to be a fair price. Not everyone will buy into it. From those that do, you’ll likely get a better deal, and from those that don’t – at least they will respect you. Bringing Kosher snacks to the shelves of national retailers is easier said than done. How has your commitment to a Kosher product impacted your ability to scale up and grow? Better-for-you snacks should be available to everyone. Having Kosher certification was important to our consumer base, so becoming Kosher certified was a no-brainer. We knew we had to do it. Having the Kosher certification has opened up doors for us in specific geographic regions and areas. 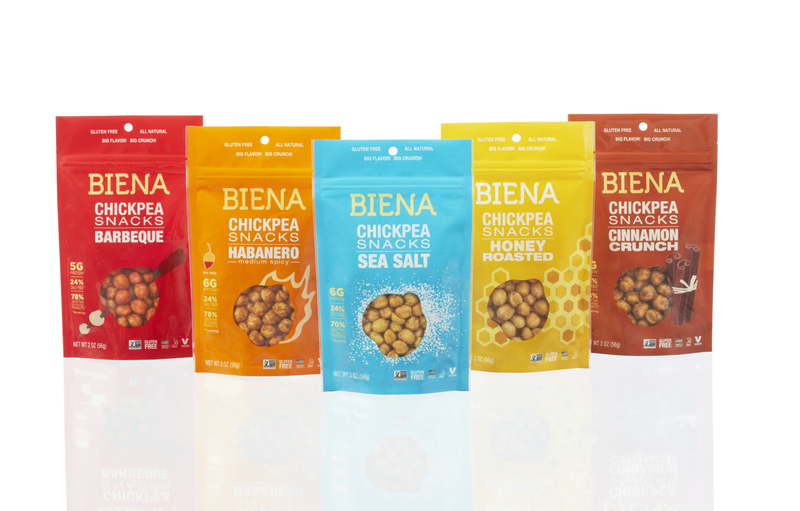 Biena Chickpea Snacks recently underwent a major packaging refresh. Can you tell us about the design process and how consumer insights played a part in your rebrand? Our new look matches the full-flavored nature of our snacks and brand personality. We’re colorful, flavorful and full of energy. As the better-for-you snack world expands and people get more adventurous with their tastes, we want our flavorful snacks to stand out on the shelf. The new look showcases larger transparent windows to see the chickpeas inside. The pouches also illustrate notable cues that speak to each flavor, like honeycombs for the Honey Roasted or a skewer for Barbeque. 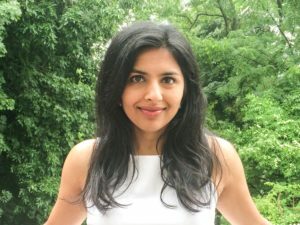 There are so many foods positioned as “healthy” today- how does Biena cut through the clutter and confusion to connect with its target audience? By making sure that we are highlighting the main differentiating attributes of our snacks, such as the bold flavor experiences plus the protein and fiber content. Also, with Biena, what you see is what you get. We have a clean label, so people know exactly what they’re putting in their bodies. That is important to me, as that’s the whole reason why I founded Biena Chickpeas in the first place. I certainly didn’t want to make a snack I wouldn’t eat myself. Who knew chickpeas could be so flavorful? How did you choose the sweet and savory flavors Biena has today? I get that a lot! People tell me that they didn’t realize how delicious and tasty chickpeas could be. Our flavors are some of my own favorites, but I also wanted to provide a choice. If you want something sweeter, the Cinnamon Crunch is for you. Kids also really like this one. If you want a little kick or spice to accompany the crunch, the Habanero does that. People’s tastes are different when it comes to healthy snacks, and I think we offer a great variety. 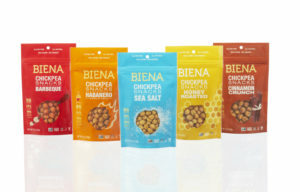 Find Biena chickpea snacks at fine food retailers near you! Brandettes is a Los Angeles-based agency supporting beauty, lifestyle and other consumer products brands with brand strategy, marketing and social media.